Ensuring your Ohio trucking company is following all laws and regulations can be a time-consuming and frustrating process for even the most experienced business owners and operators. If you’re looking for a more efficient way to document and confirm driver qualifications and remain up-to-date with filing requirements, US Compliance Services has you covered. We offer full-service trucking compliance assistance in Ohio to help you adhere to all Department of Transportation (DOT) and Federal Moter Carrier Safety Administration (FMCSA) regulations. Our professional team has experience providing Ohio trucking compliance support to all different sizes and types of companies. From managing risks and following the correct procedures to avoiding fines and costly downtime, we’re the one-stop shop for everything you need. When you partner with US Compliance Services, we take care of managing and monitoring your fleet, so you can focus on running your business. When you work in an industry such as commercial trucking, keeping your fleet operating efficiently is crucial to remaining profitable and competitive. Falling behind on current industry trends and standards, hours of service (HOS) regulations and licensing and registrations can drag down productivity and cost your business time and money. If you need assistance with anything from navigating the complexities of tax-related issues to vetting and onboarding new hires, we’re here to help. US Compliance Services provides an in-depth trucking compliance consultation to get to know your particular challenges and develop a customized solution that fits your needs. We’re focused on offering service and support to eliminate confusion, minimize costs and avoid fines and penalties. You benefit from a smooth, more efficiently running business while building a sterling reputation that wins new and returning customers. 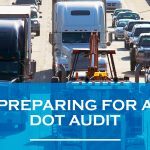 DOT Consulting Services: Our knowledgeable team members are experts in dealing with the many details and steps involved in the DOT application and registration process. From filing for new DOT numbers, biennial MCS-150 renewals and initial and annual registrations to completing applications for an MC number or reinstating an MC number with your operating authority, we offer full-service DOT trucking compliance assistance in Ohio. We also provide DOT and MC decals that meet mandated standards for visibly displaying registration numbers. FMCSA Services: If your trucking company has applications transporting hazardous materials, it’s critical you adhere to Federal Motor Carrier Safety Administration regulations and carry the appropriate bonds and insurance. US Compliance Services protects your business with motor carrier filing assistance and FMCSA compliance consulting. We’ll make sure you have an MCS-90 form showing you have the required insurance to transport hazardous materials over state lines and keep you current with paperwork and renewals. DOT Driver Qualification Management: One of the most significant challenges of running a profitable trucking enterprise is hiring and retaining productive and reliable drivers. Our Ohio trucking compliance assistance includes verifying and documenting driver qualifications based on strict DOT guidelines and procedures. From applications and registrations to medical examinations, road testing, physicals and drug and alcohol testing, US Compliance Services helps you manage driver compliance to improve safety and avoid lawsuits. IFTA Compliance Assistance: Many trucking companies are subject to the International Fuel Tax Agreement (IFTA) for submitting fuel taxes by a motor carrier. We provide trucking compliance consulting to identify if you need to register for IFTA and will then put a plan in place to adhere to regulations. We’ll make sure your paperwork is in order and that you’re filing on time to eliminate circumstances resulting in fines and legal complications. 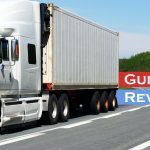 ELD and eLOG Compliance: Electronic logging devices (ELDs), also known as eLogs, are an effective way to replace the inefficiencies of traditional paper log books. US Compliance Services helps smoothly transition to a new way of logging HOS by providing a cutting-edge system that’s flexible and easy to use. We handle everything from registering new units, permitting and data migration to verifying and cross-checking records for accuracy and inconsistencies. Whether you’re just getting started in the trucking industry or are an experienced company with a massive fleet, US Compliance Services provides scalable solutions to ensure you’re in compliance and stay that way. We’ve worked with businesses across the country and are experts in Ohio trucking compliance rules and regulations. In an industry where standards are continually expanding and evolving, it pays to have a partner that has a finger on the pulse of any and all compliance concerns. Meticulous attention to detail so DOT forms are filled out, filed and renewed on time and error-free to keep you operating smoothly. A transparent process that keeps you informed on everything we’re doing on your behalf and how it positively impacts your business. Less time, labor and resources spent on keeping up with the many elements of maintaining compliance, so you can concentrate on providing the best possible service to your customers. Driver Application & Qualification Checklist detailing everything necessary when considering a driver for employment and certifying and documenting their eligibility. Trucking company management advice ranging from considerations when starting a new business to insights into finding clients, legal requirements and assets and expenditures. General DOT information covering a range of topics relevant to running a successful business in the trucking industry. Why risk running afoul of DOT and FMCSA regulations when you can put yourself on the path to compliance with a single call or click. The professionals at US Compliance Services are standing by to speak with you about your operation and to deliver a cost-effective solution tailored to your particular requirements. Give us a call or fill out our online contact form to request a free trucking compliance consultation.